This is an industry that grew every year from the Resorts opening in 1978 through 2006, when it peaked at $5.2 billion in revenues, but then declined each of the next nine years as neighboring-state competition took its toll, with a nadir of $2.6 billion in 2015. Atlantic City’s casinos have a ways to go reverse that 50% decline: The 2018 figure of $2.896 billion in total revenue, though up 7.5% from 2017, only gets the industry back to 2013 levels. It’s worth noting that had the city’s casino industry stuck to brick-and-mortar gambling only, 2018 would have shown the lowest total revenues in AC history. 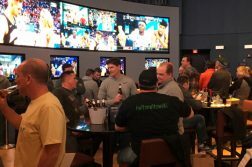 But online casino gaming revenues — up every year since its introduction in 2013, to $300 mm last year — and one quarter or so of sports betting (for another $94 mm) in 2018 gave the industry a much-needed boost. 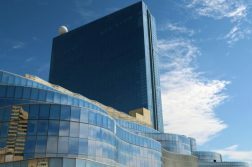 While the size of the gambling pie for the Atlantic City casino industry grew last year, the amount of competition grew even more with the mid-2018 launches of Hard Rock (formerly Trump Taj Mahal) and Ocean Resort (born Revel). In terms of gross operating profit, Golden Nugget — up 12.5% — and Tropicana — up just 1.4% — both gained ground over 2017. 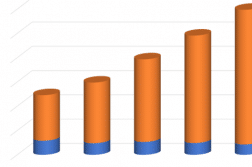 But the overall industry experienced a 15.4% decline in profits in 2018. The two newcomers, Ocean and Hard Rock, ran deficits of $18 mm and $9 mm, respectively, while the seven holdovers all at least made some money on that accounting. Tropicana’s gain was fueled by a remarkable 76% increase in fourth-quarter operating profits compared to the same time period in 2017. The boom quarter allowed Tropicana to account for about 25% of the city’s casino profits for the quarter. Borgata is still the king of the city, and it claimed about 60% of those fourth-quarter profits. For the year, however, Borgata’s profits were down 18.8%. The addition of thousands of hotel rooms to the city’s inventory, meanwhile, naturally led to a decline in occupancy rate from 86.9% to 80.2%. That need not worry operators Borgata, Caesars, and Tropicana; each scored average-rates-per-occupied-room increases from $29 to $50 per night, with far smaller declines in occupancy. The quarterly report was released just hours after news broke that Bruce Deifik, who bought the former Revel casino from Palm Beach, Fla. real estate investor Glenn Straub for $200 mm last year, had died in a single-car crash in Colorado. Ocean Resorts’ sportsbook is among the most elaborate in the city, and was a source of pride for Deifik. But the property was struggling from the start, and in February, its lenders took control from Deifik. Still, Deifik has a legacy, for now at least, of spearheading a development that employs thousands in Atlantic City.